Barbecue Cleaning in Ashford Kent, Hythe, Tenterden and Folkestone, with the weather on the turn over the weekend, it will not be long before many of us turn our thoughts to entertaining in the garden and of course the inevitable Barbecue.I clean BBQ’S using the same non-caustic and bio-friendly cleaning solutions I use to clean ovens; My professional cleaning products are so gentle you can eat from your barbecue as soon as I have finished cleaning! 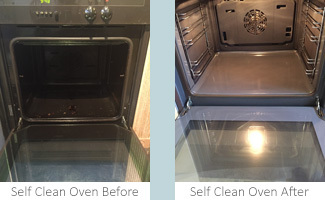 All of the removable parts including the grills shelves and hot plates will be completely stripped of fat and carbon deposits by my professional oven cleaning dip tank. I will clean the rest of the barbeque with my specialist cleaning solution leaving your barbecue clean sparkling and most importantly Hygienic! So when you get the barbecue out this year and suddenly realise that the Barbecue is filthy and quite frankly is in the same state you packed it away in, don’t despair just get in touch my prices are very competitive. Just take a photo of your barbecue on your phone send me the pics via email and I will come back to you with a fixed price quote. Most barbecues can be cleaned in under 2 hours.